This season, American tenor Jonathan Johnson makes his debut in the title role of Candide with the Seoul Philharmonic Orchestra, Utah Symphony Orchestra, and Des Moines Metro Opera and returns to the Lyric Opera of Chicago as Lurcanio in Ariodante. 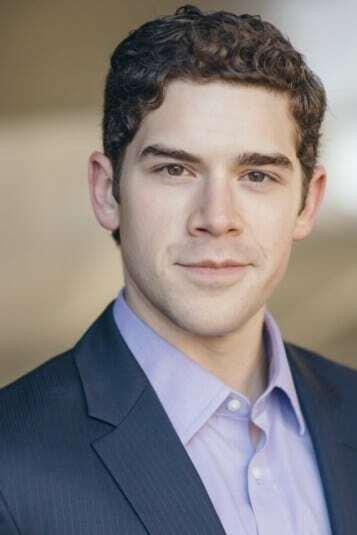 He also returns to Jacksonville Symphony as Don Ottavio in Don Giovanni and as the tenor soloist in Messiah, which he also performs with Kansas City Symphony Orchestra. A graduate of the Patrick G. & Shirley W. Ryan Opera Center, the Lyric Opera of Chicago’s professional artist-development program, he appeared in the house’s main productions of Les Troyens, Lucia di Lammermoor, The Merry Widow, Der Rosenkavalier, Capriccio, The Magic Victrola and Mieczysław Weinberg’s Holocaust opera The Passenger. Other recent engagements have included his debut at Canadian Opera Company in a production of Anna Bolena, Frederic in The Pirates of Penzance and Lensky in Eugene Onegin at the Lyric Opera of Kansas City, Fenton in Falstaff at San Diego Opera, Lindoro in L’italiana in Algeri at the Portland Opera, La Damnation de Faust at the Grant Park Music Festival, Le Fils in Les mamelles de Tirésias with the Civic Orchestra of Chicago, Beethoven Symphony No. 9 with the Jacksonville Symphony, a performance of Schumann’s Dichterliebe as part of a Liederabend in Chicago, and various appearances in the Harris Theater’s Beyond the Aria series, the 125th Anniversary Gala for the Auditorium Theater, and on WFMT radio as part of the Ryan Opera Center Recital Series. He also enjoys a touring relationship with Chris Botti, which has taken him to many cities in the US and abroad. Hailing from Macon, GA, Mr. Johnson holds a Master’s degree and Professional Artist Certificate from the A.J. Fletcher Institute of the University of North Carolina School of the Arts.